There’s been much ado about Breckenridge Brewery’s new location in Littletown, Colo. The 12-acre property looks to be a beautiful rural destination that stretches along Colorado’s South Platte River. The new facility will have a farmhouse-style feeling, centered around an expansive brewery/cellar/warehouse facility which will boast a 2,000-square foot barrel-aging cellar, a 100-barrel (bbl) Steineker brewhouse, Krones bottling line, KHS kegging line and Wild Goose Engineering canning line. That’s all very cool, but what will Breckenridge be doing with its old, still very functional Denver facility? Well, according to accounts around the web, Breckenridge aims to sell it, and now we have the specs for sale. 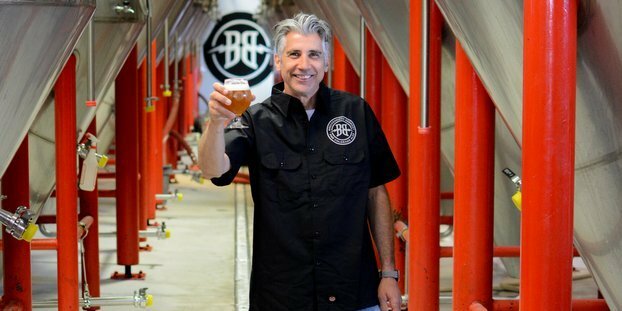 Breckenridge Brewery is selling its brewery location at 471 Kalamath Street in Denver. The facility is capable of brewing up to 70,000 bbls annually. It could be yours for the right price. Breckenridge Brewery is looking to sell its brewery location at 471 Kalamath Street in Denver. The facility is capable of brewing up to 70,000 bbls annually, and the sale will coincide with the opening of Breckenridge’s new $20 million brewery in Littleton, planned for late 2014. What’s included in the sale? For starters: a fully operational craft bewery; retail tasting room/kitchen; an established high visibility location; and tons of brewing and packaging equipment. The facility is being offered to the market without any asking prices. Prospective purchasers are encouraged to submit written offers. Download the PDF of specs right here. Crazy Mountain Brewery has been mentioned as a perspective buyer before, but that doesn’t mean you can’t make an offer. We’re off to check how much money we have in the CBB account right now. We went to the original pub in Breckenridge. We also were in Denver, but never to Breckenridge’s production facility there. Chris Keefe, isn’t this where you were in Colorado w/Jeff, Linda & Leandra?